Canon is doing a good job in meeting the surge in demand from pre-orders of this exciting camera. My sources in Asia informed me the camera stores there are already selling the EOS-70D. The camera with the lens kit are arriving first. The rest of SE Asia, countries like Singapore and Australia are getting their shipments now. North American camera dealers should get their shipment by the end of August and early September. 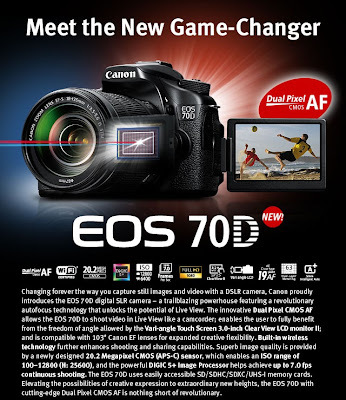 You can download the EOS-70D User Manual here and read about the new Dual Pixel CMOS AF technology and see some test videos shot with the camera.